Herbein is excited to offer a whitepaper on the new IRS repair regulations and what they mean for you. 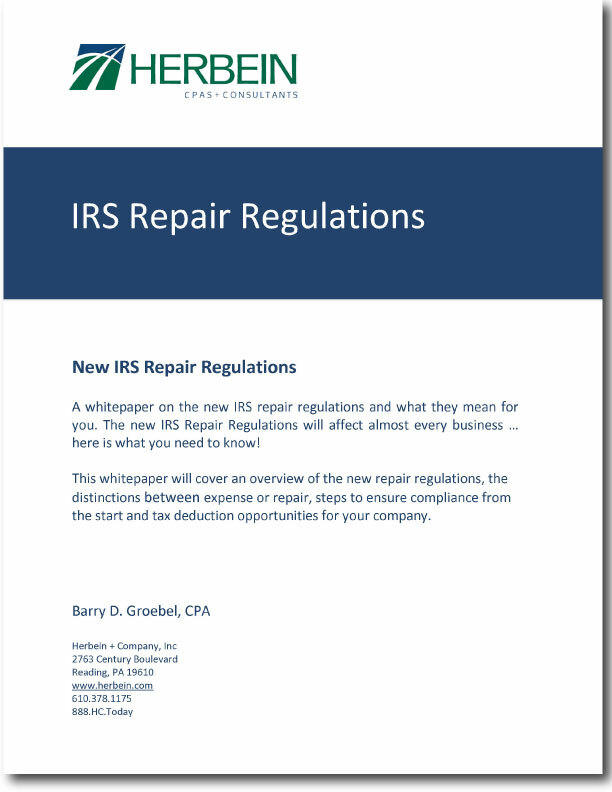 The new IRS Repair Regulations will affect almost every business … here is what you need to know! This whitepaper will cover an overview of the new repair regulations, the distinctions between expense or repair, steps to ensure compliance from the start and tax deduction opportunities for your company. After completing the form to your right, you'll be able to instantly grab our report.